» A Review of the Grayl Ultralight Water Purifier Bottle: Does it Work as Promised? Clean water is the key to overall health and survival. Sadly much of the water in the world is polluted, particularly in third world countries. Even within North America truly clean water can still be difficult to come by. Aside from the potential for pollution, even tap water can contain chlorine, fracking chemicals, and that awful “city water” taste. Constantly buying bottled water is hardly an economical or environmentally friendly choice. Purifying your own water and then using a reusable water bottle is a better option but still eats up time and is far from efficient. This is where Grayl changes things. Grayl was founded in 2012 by partners Nancie Weston and Travis Merrigan, two global travelers that saw first hand how the effects of plastic pollution and poor water quality affects everyone around the world. Their goal was to make a water bottle product that is practical and easy to use, providing both filtration and purification. The first product produced by Grayl was the Water Filtration cup, which originally released a few years ago and is no longer available. This product is what really put Grayl on the map and grew their fan base. 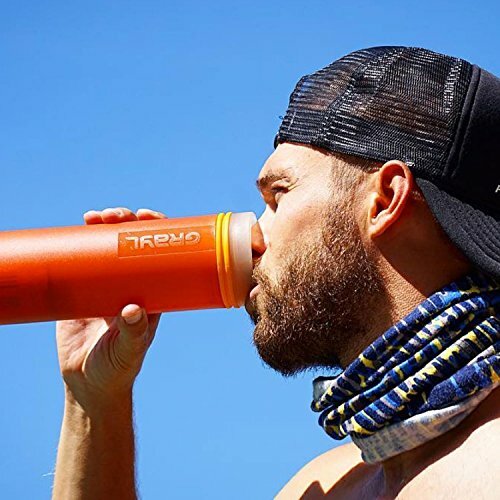 Through the development of this original filtration cup combined with plenty of feedback from customers, Grayl dropped this original product and began the process of designing the Ultralight Water Purifier Bottle. The name of this product obviously describes exactly what it is – an ultralightweight water bottle that also purifies water. Grayl considers this bottle to be the world’s most advanced “purifier + filter” bottle available to date. It is ideal for worldwide travel, any type of outdoor adventuring, and for emergency prepping. 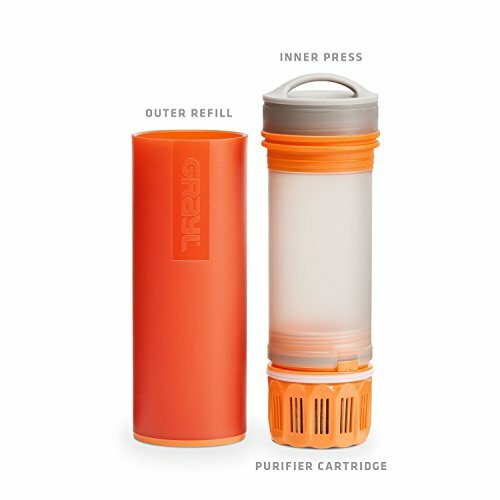 The Ultralight has been impeccably designed by Grayl, with attention clearly paid towards filtration abilities as well as the overall look and feel of the bottle. Essentially the Ultralight looks like a high-tech bottle, but remains super simple to use and, most importantly, is extremely effective at getting nasty things out of the water. Before getting into the filtration abilities of the Ultralight, here are the details you need to know about buying options and design of the bottle itself. 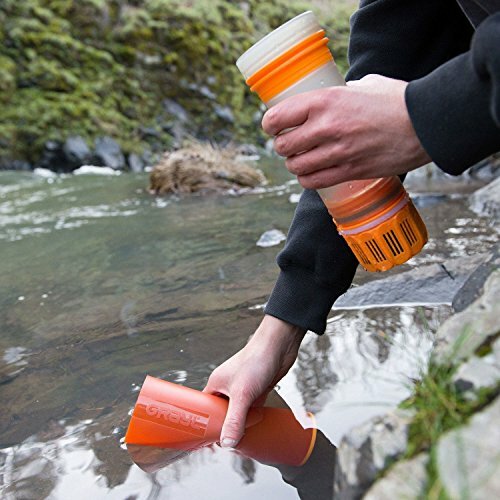 The filtration and purification ability of the Ultralight is astounding. Many of these “filter-in-a-bottle” products often lack serious filtering abilities, leaving many unhappy customers complaining. Grayl really pulled out all the stops with this bottle. Pretty much the Ultralight can be your one and only source of purified water when you’re traveling or in the backcountry. Not only does it work like a regular old water bottle, meaning you can filter the water and drink it right from it, but you can also use this bottle as a simple filter by cleaning the water and then pouring that filtered water into other bottles. Many find that this bottle also helps remove some bad tastes, thanks to the activated carbon. At first a $60 (For the latest prices and discounts, check here) water bottle seems expensive, but seeing as how this product can be your sole reliable source of clean water, it is worth every penny. Also, Grayl prices the replacement filters for a very reasonable cost, so really this bottle should last an incredibly long time. The only part of the bottle that needs replacing is the filter, so you don’t need to worry about batteries, UV bulbs, or additional chemicals or additives like iodine. 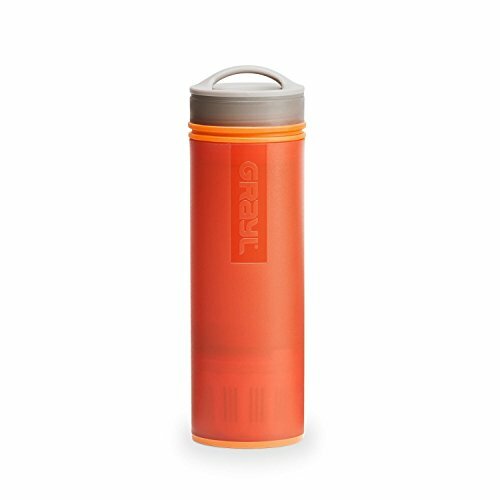 This bottle only weighs 10.9 ounces and dimensionally is slim enough to fit in any type of backpack pocket, potentially even in a large cargo pocket on hiking pants. The filtration system itself is incredibly basic – just fill the outer sleeve of the bottle with water and then press the inner bottle in. This process forces the water to go through the filter and into the inner bottle for safe drinking. It does take some force to press the water through but nothing that would be difficult for the average adult. While in theory, the Ultralight filter should be able to handle murky water it seems as though many customers have different experiences. While clear water filters through time after time flawlessly, even slightly murky water (such as lake water) seems to only clog the filter quickly. Since this is a press action filter the bottle will be more and more difficult to press down as the filter dies. If you’re using this bottle on tap water this won’t be much of an issue, but if you’re planning on using it outdoors in the backcountry then you should keep this in mind and perhaps take a replacement filter or alternative filter product with you just in case. Another disappointing thing about the Grayl ultralight is that it’s only a 16 ounce bottle, so essentially it only holds about two cups of water. This is hardly anything for someone seriously sweating and guzzling down water. You’ll find yourself constantly having to refill the bottle, especially if you’re a larger person. You can certainly carry extra bottles and filter water in one sitting, pouring the cleaned water from the Ultralight into other bottles. 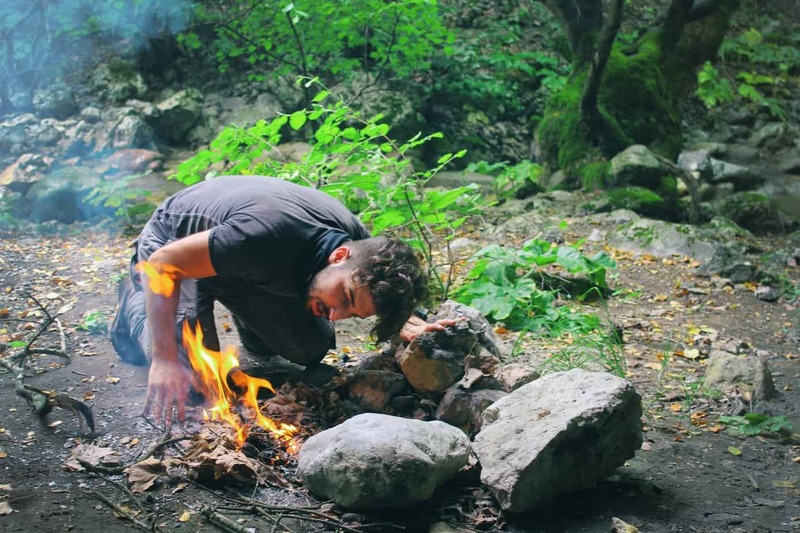 Some people also choose to do this same process, but filling a hydration pack instead. Still, a 24 ounce bottle may have weighed more and wouldn’t be considered “ultralight”, but it would have reduced refills. Overall the Grayl Ultralight is a fantastic all-in-one water bottle and filtration system. Even though it has a couple downsides, for the most part this bottle performs exactly how you’d expect and is covered by an excellent warranty. This product is definitely worth considering if you’re in the market for a compact water filter system.